Spice containers are an integral part of the professional kitchen. PET Power has an extensive range of standard PET bottles and jars. The spice containers are available from 60 ml. With nearly 25 years of experience and an enthusiastic team of specialists, we are happy to be of service. 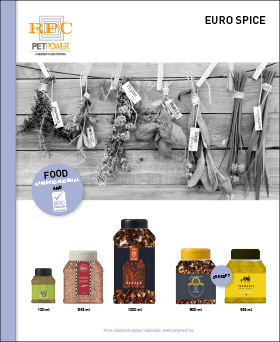 In our configurator you will find an overview of all our PET packaging. Standard PET has many positive properties which can, if desired, be quite easily mixed with other barrier-enhancing additives. For the herb packaging, we often use a UV additive which prevents the herbs and spices from quickly discolouring from sunlight. Here you will find a small selection of spice containers from our extensive range. In our configurator you will find all standardly available models. In addition to providing a standard solution, PET Power is also the right partner if you wish to develop your own model. Find your local sales representative here. He or she will be happy to assist you in the development of unique herb packaging that fully meets your needs. 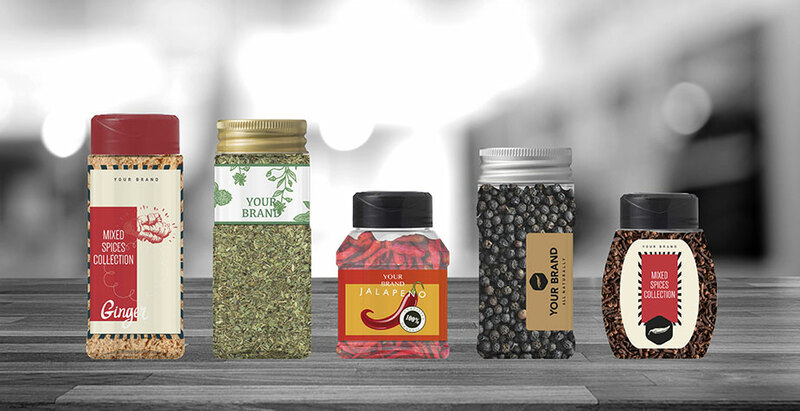 Spice packaging is not complete without a functional and matching closure, including an attractive decoration. 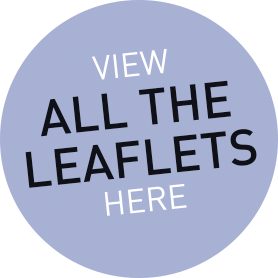 Fortunately, we have the right specialists to convert your wishes into a tangible product. What would you like your spice packaging to look like? 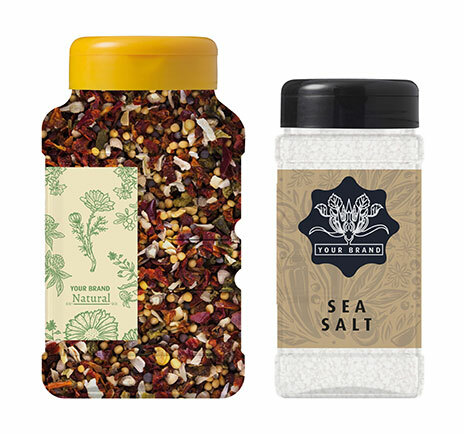 Are you curious about all the advantages of our spice containers? Discover for yourself! 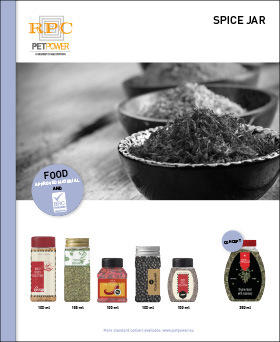 We are happy to supply the spice packaging in order to ensure the quality of your products. 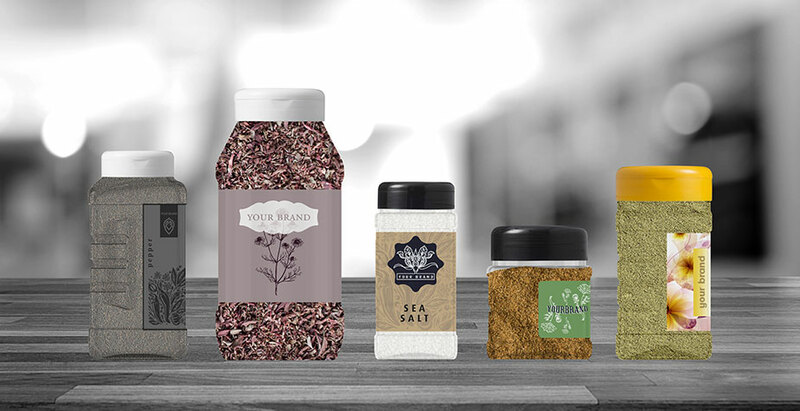 If you did not find the spice packaging you were looking for in our standard range, we are happy to customise for you! 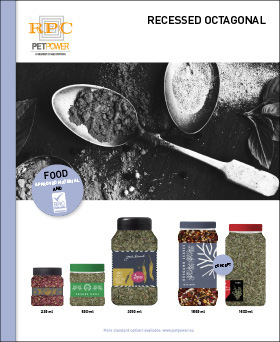 Simply contact us by sending an e-mail to info@petpower.eu. 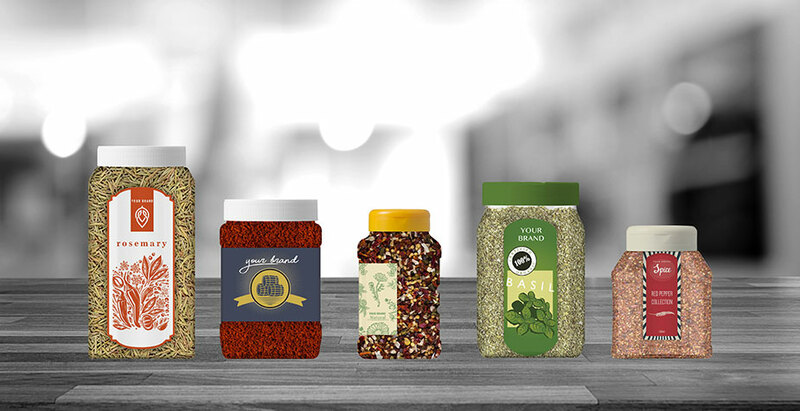 If you would like to learn more about our spice container range, please visit our online knowledge centre where you can download free information.